One thing my wife and I have noticed is that avocados have become more plentiful in our local grocery store. Without exception they are all from Mexico. The avocados in our store are good quality, and of course avocados are good for you. Avocados are important to the Mexican diet, but more than that avocados are now one of Mexico’s most important exports to the United States and the world. The last point is very significant. Mexican avocado exports have risen tremendously, capturing 56 percent of the avocado market worldwide. The insatiable American appetite for avocados means that Mexican growers are no longer in competition with their American counterparts in California—the demand for avocados is that great. Avocados are being enjoyed not only by Mexican immigrants in the United States or by Mexican Americans but by Americans in general. And not to worry about the quality of Mexican avocados since American health inspectors are on the ground in Mexico with their Mexican counterparts making sure that the avocado exports meet U.S. safety requirements. But avocados do more than just earn Mexico incredible profits or provide a healthy diet for all. The avocado crops help Mexican farmers resist and fight the illicit drug cartels. In Michoacan state, for example, avocado farmers have formed vigilante militias to make sure that the avocado crops remain safe, and that cartel thugs do not attack and destroy delivery trucks carrying the precious avocados to market. One of the reasons why the Mexican farmers want to plant avocados is because it earns them high profits, it denies the cartels land for growing marijuana and opium poppies (yes, the cartels are now using Mexico to grow opium poppies to make heroin), and most important gives the Mexican farmers a chance at earning an honest living growing a profitable and legal crop. The cartels have tried their best to destroy this farmer resistance by extreme violence, kidnappings, assassinations in the streets, massacring whole families, and robbing and burning farmers’ trucks going from one town to the next. But the farmers are fighting back, and money derived from the sales of avocados have helped them buys weapons and fight back against the cartels. There is much at stake for not only the Mexican farmers, but also for Mexico. 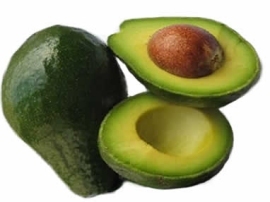 Avocados represent a means for farmers, distributors and export companies to make money and hence make a good living. All of these people do not want the cartels to take away their living. Avocados can and are helping so many hardworking people earn the money they all need for a better future. For all of us, buying avocados means all these people not only make a better living for their families, but help them fight the cartels. As for myself, avocados will be on my grocery list for next week.